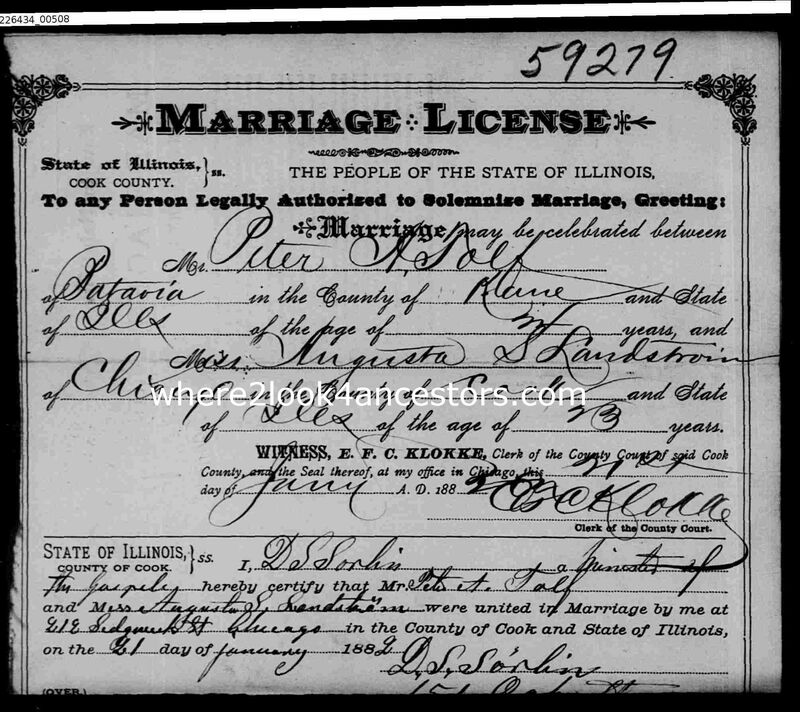 On this day one hundred and thirty-two years ago, my maternal 2nd great-grandparents Peter August Tolf of Svenarum, Jönköping, Sweden and Augusta Sophia Landström of Norra Sandsjö, Jönköping, Sweden were married in Chicago by Rev. D. S. Sorlin of 151 Oak St. Chicago , pastor of the Swedish Methodist Episcopalian Church on the northwest corner of Market and Oak Streets . Congratulations to them :)! I love the old handwriting on the certificate. Me too! I wish my handwriting looked so nice.